"Entire staff including Dr. Johnson was very nice! Very knowledgeable!!" "Great place, great staff. Cant thank them enough. Thanks Doc! " "Wonderful staff and experience. Highly recommend." Medical marijuana, or cannabis, is one of the most dynamic and exciting fields in modern medicine, with more and more people finding relief from symptoms of chronic and serious illness with cannabis every year. At Kaya Life, the team of experienced physicians and staff are committed to providing Santa Rosa Beach and Panama City, Florida, residents with a medical marijuana resource for information and treatment on a wide variety of diseases, with compassion, dignity, and a commitment to patient satisfaction. Kaya Life is the first Cannabis Physician Office to open in the Panhandle of Florida. Our first consultation was just 27 days after voters approved The Florida Medical Marijuana Legalization Initiative, also known as Amendment 2, on November 8, 2016. Our mission is to help you and your loved ones find your wellness and improve your quality of life through the use of Medical Marijuana. If you’re living with a long-term disease or coping with serious side effects from treatment, don’t hesitate to call and find out what medical marijuana can do to improve your quality of life. 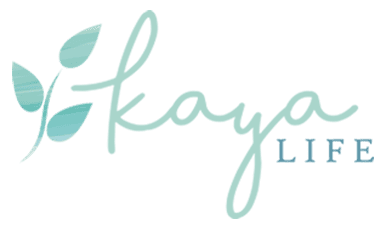 The friendly staff at Kaya Life is ready to take your call, or you can make an appointment online with the scheduling tool. Our mission is to help patients achieve wellness and improved quality of life through the use of medical marijuana. We provide more than entry into the State Registry. We provide physician consultation and personalized treatment recommendations. Patient’s leave our office with the application for their medical marijuana card complete. This process is through the State of Florida website and is very cumbersome for many people. We are one of the few offices that actually help patients with this process. We provide cannabis education. Many offices send patients out the door without any understanding of what they need to purchase. However, we take the time to walk you through the process and what to expect so that you are comfortable and as prepared as possible. We care about our patients. Kaya Life is a lifestyle choice to seek treatment with medical marijuana and has been built to be patient centric. "Wonderful doctors and very knowledgeable staff. Highly recommend Kaya Life for those looking for a new Medical Cannabis Physician!" "Very good experience. Very professional."